Ok here is the newest Contest for all of you Designer Guru's! Last Year we published our first ever ROTM Calendar! As you know I handled the design of this item and sale for the members here at CBRForum.com. This year I would like to try something new!! All the designers on this site we could get some GREAT idea's and an even GREATER final product!! Each month we have a winner for ROTM. This winner gets his bike and info published for that month in next years calendar! Take the winner of each month and make the photo for that month on next years calendar. The moderators and myself will then vote on the BEST finished product for each month and that will be the photo used for next years calendar! You will get design credit and and statement that you won the design for that month. Be creative! You can contact the winner and get additional photo's! Whatever you think would make the design COOL! Let's see what kind of talent we have on this site!!! [8D]You can start with this years winning Jan. month and go from there. So fella's (and gals) haven't seen any submissions yet.....what's wrong? No one feeling creative? I still haven't got pictures from the other members yet. In my own opinion, we should probably be designing a template for the pictures to be used in. Uniformity is primarily what we need. I designed a little something really quick to show what I mean. This is just my idea. Let me know what you think about it. I like it! The plain and simple idea.....very nice work Foxy! it's nice to see the talent start to surface! 1 suggestion though, having printed a lot of these, I suggest changing the box colors to something much lighter or even white. 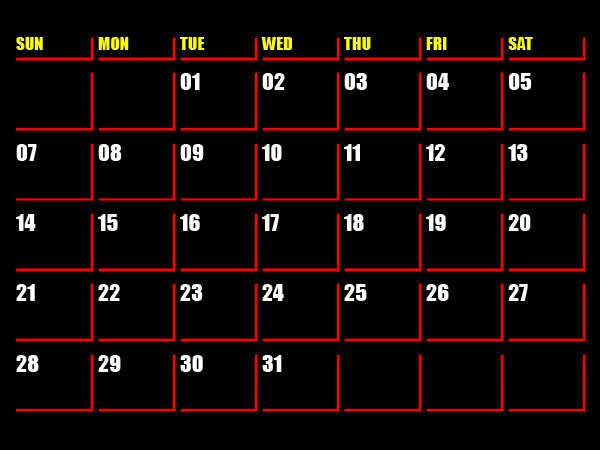 Many people use calendars to write stuff for particular dates which you can't do on dark colors like black. That's the best idea I've heard yet. And I'll fool around with it some more. This is primarily a 1 hour job I threw together really quick to show the concept of the template idea. I'll come up with something a little more refined in the next couple of days. I would also change the date boxes to something lighter, maybe a gray. Just something you can write on and see. Other than thatit is prettydang good looking. Hey Fox, that looks great. I would like to see your ideas in this format. This would allow for the main pic on top plus a couple smaller pics also. I love that "cbrforums" logo at the top. Also where you have "Bike, Owner, Screen Name, maybe add Location, and a small list of mods. The bike related dates idea is awsome too, it could have AMA race events, Motogp and WSBK U.S. dates. 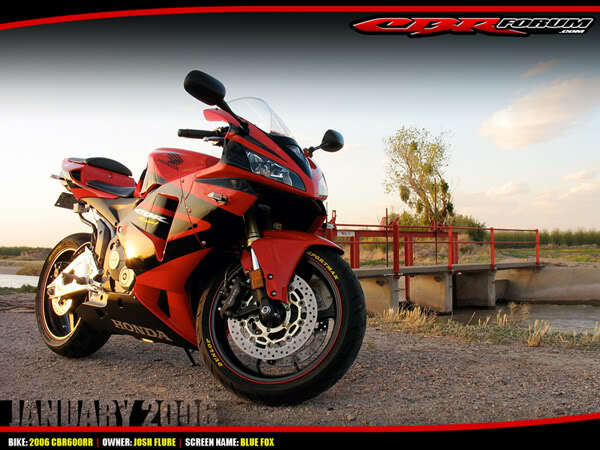 I also think it would be cool for each month the color match the bike featured that month like you did in you layout. fox, thats a gorgeous calender man. the idea is awesome. i think id like to see the mods for each persons bike too. like maybe on the right side of the pic. dunno. but your concept rocks!!!!!!! !